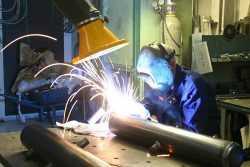 Welding is common in a wide variety of UK industries, including car production, shipbuilding, construction and metal manufacturing, and can be hazardous for workers in a number of ways including a variety of respiratory diseases. Are you protecting your workers from these dangers? Read on to find out more about what you should be doing as an employer to protect your welders. 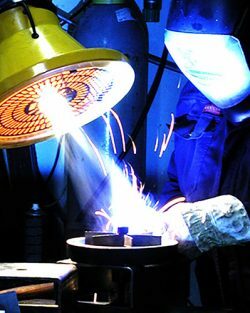 Why are Welding Fumes Dangerous? Lung infections that can lead to severe and sometimes fatal pneumonia. The risk of contracting occupational asthma is increased. Welding fumes are internationally classified as possibly carcinogenic to humans. Metal Fume Fever – Flu-like symptoms after welding. Temporarily reduced lung function – lung capacity and the ease of breathing out. The toxicity and concentration of the fume depend on the material being welded, the method used, also how confined space is in which it is being carried out. The HSE has the power to serve an improvement notice to companies requiring them to reduce exposure to welding fumes or face legal action. How toxic the fume is – what material is being worked with. How concentrated the fume is – nature of the workplace means that there is a restricted amount of air to dilute the fume. How long the fume is being breathed in. At Vent-Tech, we are extremely aware of the problems caused, and the need for correctly installed and working welding fume extractors and systems. 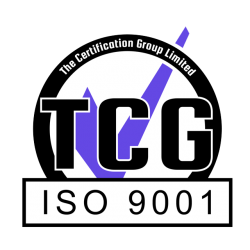 Following a site survey, we would put forward a recommendation on the appropriate technology and extractors you and your welders would need, safe in the knowledge that our installations are fully compliant with current COSHH regulations. Reducing the amount of fume at the source. Make changes to the way the welding workers use the equipment and position themselves during welding. Testing of welding fume extraction systems every 14 months. Routine maintenance of extraction systems. There is a wide range of extraction solutions available for the control of weld fumes. The correct solution should take into account the type of welding, substrate material, the frequency of welding and the size of the workpiece. If you would like advice on extractions systems and the correct course of action for your company, call our team today on 0117 9647945 to discuss removing the dangers of welding fumes from your workplace. We recently worked with a shipping company to provide them with mobile extraction equipment for welding. Read our case study: Welding Fume Extraction Systems for a Shipping Company. Grinding dust is likely to be found wherever angle grinding, metalwork, welding or moulding processes are undertaken. So, if you are reading this to find out about welding fumes, you will most likely need to also find out about grinding dust. Grinding dust is generated by power tools such as angle grinders and can also be very dangerous to workers’ health, especially stainless steel, beryllium or parts used in nuclear systems. These materials require careful control and extraction to avoid any risks from grinder dust being inhaled. A grinding booth generally offers the greatest level of control; however, this is not always practical due to the nature of the work being undertaken. On-tool Extraction Systems provide a good alternative for the safe collection and extraction of dust and can take the form of either a centralized fixed or portable collector. The team at Vent-Tech always undertake to find you the most practical and cost-effective solution to removing welding fumes and grinding dust, taking in full account of HSE recommendations and your individual requirements. Call us on 0117 9647945 for more information.